People spend their whole lives working and saving to build financial security into their retirement years, but this period of life often requires individuals to rethink the structure of their finances. The average person associates estate planning primarily as a way to arrange for the distribution of assets after death, which is a big part of its function. But proper estate planning should address much more. In order to insure that there will be an estate left to distribute, proper estate planning should also address how finances are organized, titled, protected, spent and distributed. The rapid depletion of assets required to pay for long-term care is of particular concern for persons approaching or over the age of 65. 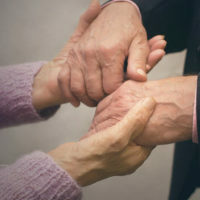 Housing options for seniors needing some level of assistance and/or care are all expensive, but nursing home care and assisted living care have the potential for some Medicaid financial assistance if qualifications are met. Nursing homes, like any other business providing medical care and housing, are essentially creditors that will seek to reach assets if the resident stops paying. More importantly, Medicaid coverage often means asset depletion to qualify, if property is not properly accomplished. A discussion on how the right trust arrangement can provide creditor protection, as well as prevent depleting an estate for long term care, follows below. Due to the popularity and ease of establishing living trusts, many people assume this plan is enough to cover all their needs. Living trusts allow the creator to maintain control of and benefit from his/her money during life, including the right to terminate the trust at any time, while also establishing how property will be distributed to heirs after death without the need for probate. However, living trusts do not provide asset protection to the creator because one person funds, manages and benefits from the trust while alive. In other words, the law will not extend additional protections for trusts created for one’s own benefit, though it can provide substantial benefits for future beneficiaries. Because assets are still in the control of the creator, creditors can freely reach trust property to satisfy debts, and for Medicaid purposes, this property is counted against a person’s income/assets limits that must be met before benefits are available. Thus, living trusts will not help someone stave off nursing home claims or obtain Medicaid assistance. While it will require relinquishing control of assets to a third party, in some situations, seniors may consider setting up a Medicaid Asset Protection Trust. A Medicaid Asset Protection Trust is an irrevocable trust. Because of this, the property is no longer considered owned by the creator, so creditors typically cannot touch it, and assets are exempt from Medicaid asset limits once the five-year transfer penalty period expires. Thus, if an irrevocable trust is established far enough in advance, concerns about Medicaid eligibility could be greatly reduced or eliminated. Unlike a living trust, the creator does not have access to the trust principal during his/her life, and must name a third-party trustee to manage trust property. However, an individual can receive an income interest in the trust to maintain a consistent stream of funds. Further, this type of trust better guarantees one’s heirs will inherit a substantial legacy, and it also grants additional tax benefits to heirs that could allow them to sell property in the trust tax-free after the creator’s death. A Medicaid Asset Protection Trust is not for everyone, but an experienced estate planning attorney can help determine the arrangement that works best for a particular situation. Leaving a legacy for your children is a goal shared by most parents, and working with an attorney both experienced in estate planning as well as knowledgeable about legal issues particularly relevant to seniors can help establish an estate plan that best responds to your needs and desires. William Rambaum, P.A. is a Florida-certified elder law firm that can assist with qualifying for Medicaid, drafting a will, creating advance directives, and many other estate planning needs. Contact the Oldsmar office to make an appointment and learn more.